Experts in the field of wellness therapies, the Heaven On Earth group brings it's expert services closer to you with the Heaven On Earth Spa Express. 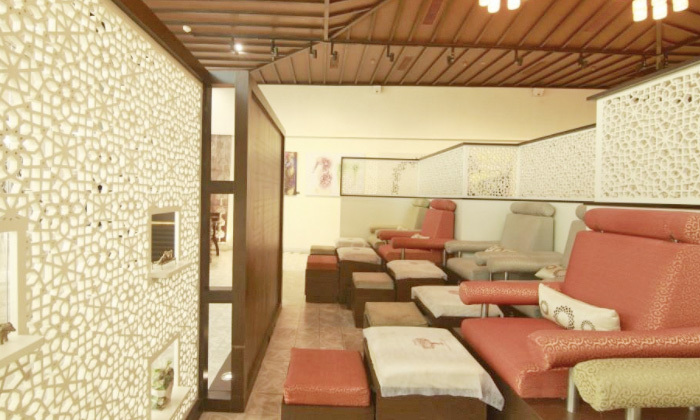 With great thought about the urban consumer who fights stress and maddening timelines on a daily basis, Heaven On Earth Spa Express has come up with a range of spa services that are aimed to make the Indian audiences indulge in global wellness and luxury experiences, getting rid of their stress in the most relaxing manner. All these services and therapies are offered by the best of masseurs in a setting that's elegant and tranquil, all of which plays its own important role in ensuring that enjoy the most blissful spa experience.